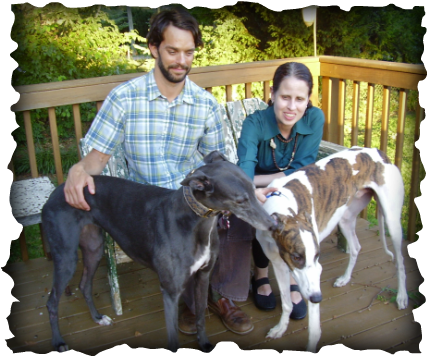 Ross and Lori of Dayton have adopted several greyhounds from GAGC over the years. Their blue girl Windy was alone after the loss of their other dogs and needed a friend but she's pretty alpha so we had to choose a companion carefully. Ego's Topdog is an affectionate sweetheart who didn't care if Windy was in charge so she gave her approval of him. He's now called Goose after a character in the movie "Top Gun", and he's bonding nicely with his new family. Welcome home, Goose!